What career development services can you provide? 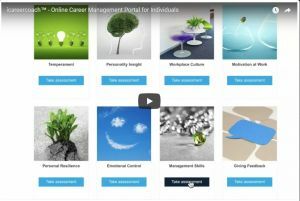 icareercoach™ is our powerful, online career management portal and is designed to complement organisational talent management objectives supporting succession planning, enhancing staff engagement and workforce agility. Deployed either as a stand-alone resource or as an accompaniment to career management workshops and coaching, staff value this opportunity to raise their career self-awareness and improve their engagement, job satisfaction and career resilience. We can provide training to enable line managers and individuals to have effective career conversations within the organisation. We can also train the HR/learning and development team or selected managers in more in-depth career coaching. Ring us on 0345 686 0745 or fill in our contact form and one of our team will be happy to ring you to discuss your requirements.